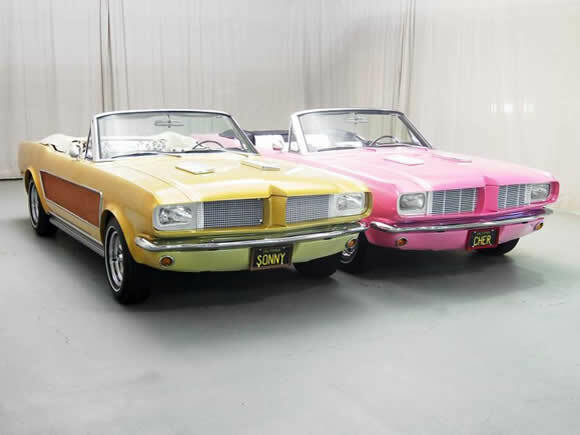 These matching '67 Mustangs were built for the the Sonny and Cher movie 'Good Times' by the famous George Barris. These cars were seriously seventies with every garish trick you could think of. Bobcat fur in Sonny's, Ermine fur in Cher's, 3" Mouton fur carpeting, pearl paint jobs, hideaway headlights. Beautiful cars for the time, built by the 'king of kustomisers', they take a bit of getting used to now. They went for US$198,000 at auction in February 2009. Amazing.